Golfers are becoming more athletic every year. Since Tiger exploded onto the scene in the late 90s, golf training has been completely transformed. If you look at the world’s best golfers nowadays like Dustin Johnson, Jason Day and Rory McIlroy, you see a crop of finely tuned athletes. One area in which this new athleticism is obvious is the rapid evolution of the golf shoe. Golfers used to wear elegant all-leather shoes. Gone are those days! This week on Friday Gear we are talking about the new shoes on the market that will take your game a step further. This is one you’ll see Rory and Jason wearing through the 2017 season. The key to these shoes are the snow-mobile-inspired treads on the soul. 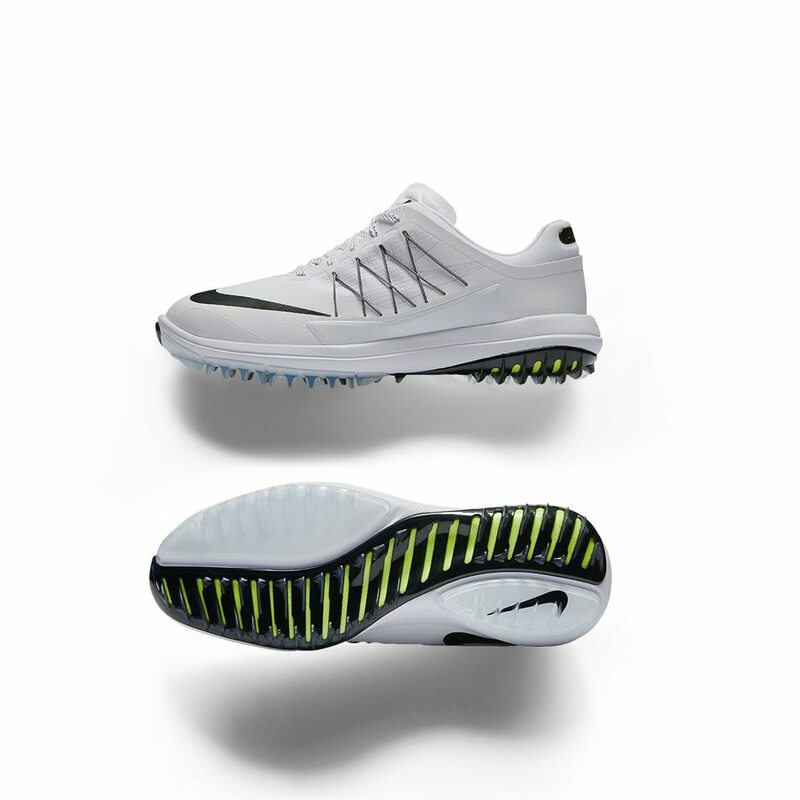 Nike are bringing a whole new concept to the golf shoe and it looks fantastic. The upper still looks a bit too much like a football boot, but these will almost certainly be great for golfers who hit it hard. Expect to see many of the new Nike athletes in these this year. 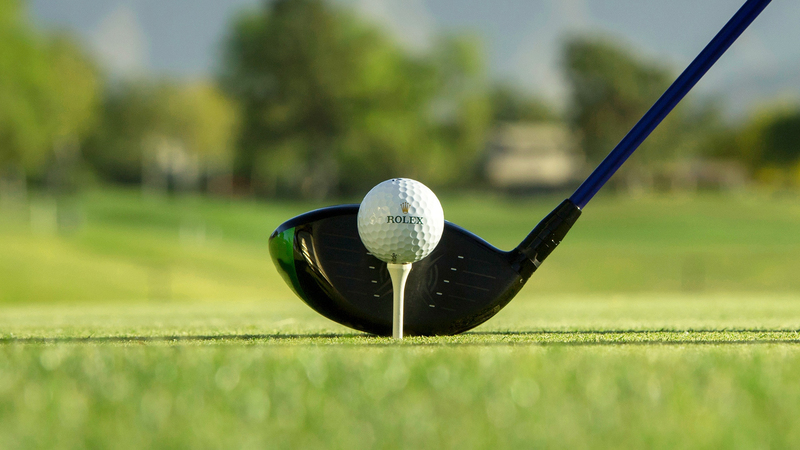 Nike’s move out of golf equipment continues to seem like a good move. The company can focus on what they do best, making shoes and apparel for athletes. This shoe was rigorously tested by Rory during his off-season. If it’s good enough for him then you’re sure to like them! This shoe has been in development for ten years! 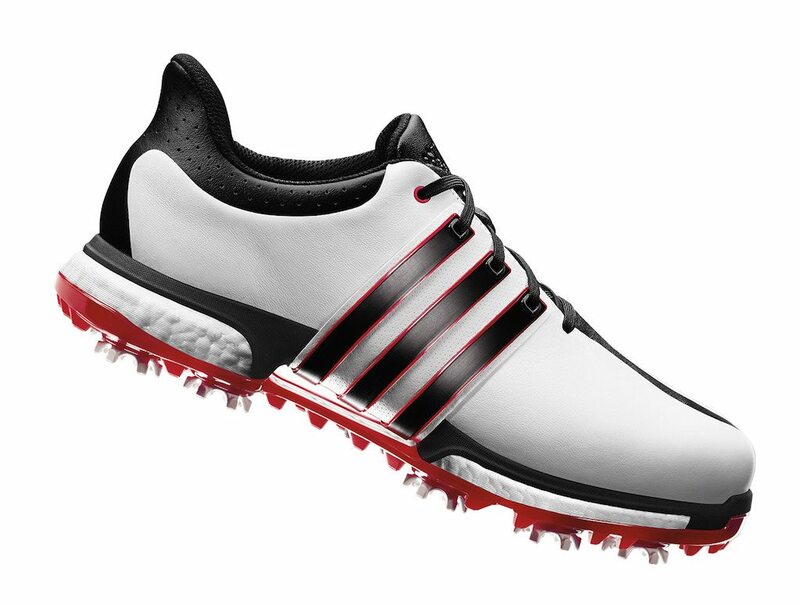 Yes, the Tour360 series is back and it’s the current shoe of the best golfer in the world. Does it need a better endorsement? This is a much more traditional shoe than most on this list. Don’t let it fool you though, it is packed with innovation nonetheless. The boost™ foam throughout the sole of this shoe makes it one of the most comfortable shoes you’ll ever wear! 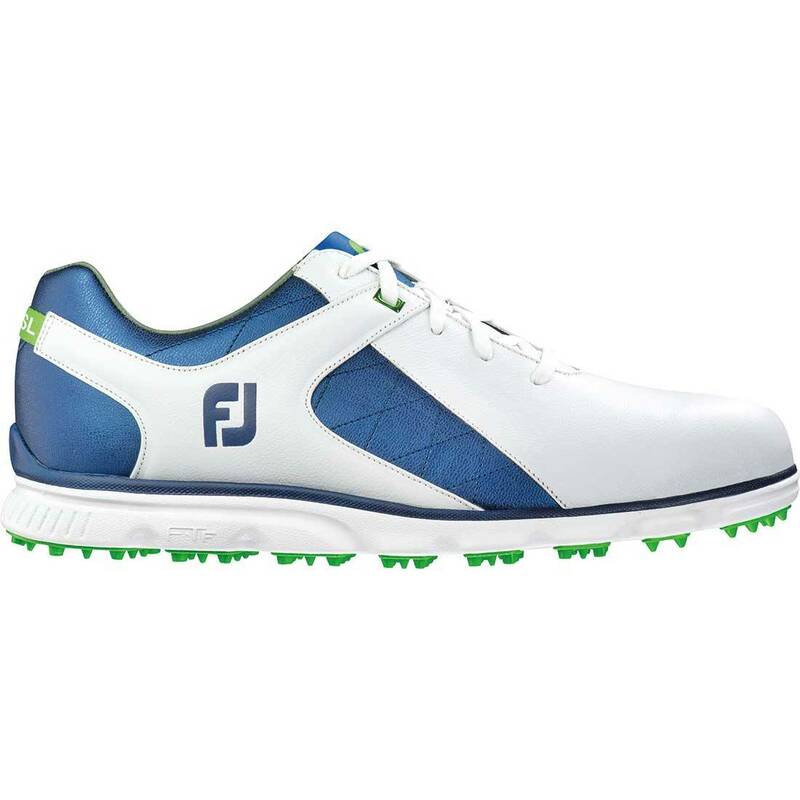 These shoes are for the traditionalists who still want top performance from their golf shoes. Wearing these will give you that smarter look on the course but also give you the advantages that contemporary shoes offer. These are Dustin Johnson’s three-striped launchpads! Under Armour are new boys when it comes to golf shoes, but they are quickly gaining a name for themselves! The shoes, clearly named after their best athlete, are the first signature golf shoe they have created. They are hoping for the same kind of success that their signature basketball shoes for Steph Curry get. These lightweight shoes are made for flexibility and comfort and the company created a four-city global tour to launch the product! They are investing heavily in the Spieth One and Jordan’s strong start to the season will help them. It is also worth mentioning that Under Armour teamed-up with Champ, the cleat makers, to develop bespoke spikes for this shoe. These could be the most popular Under Armour shoes yet! 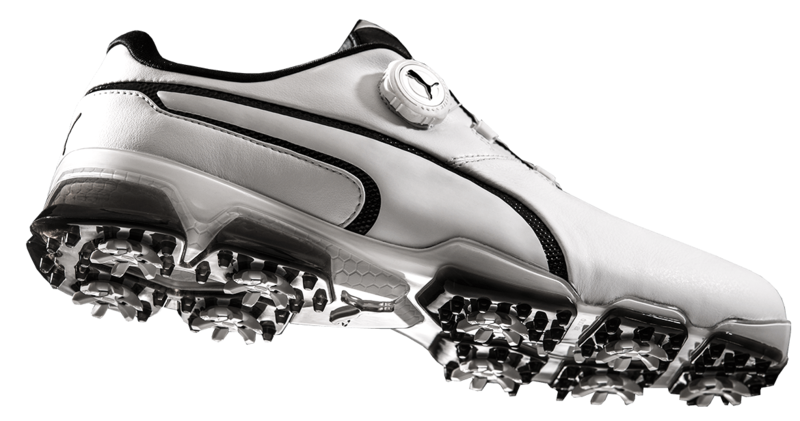 FootJoy’s tagline is “The #1 Shoe in Golf” so any time they release a new product the pressure is on to deliver. This is quickly becoming one of the most worn shoes on tour and players love them. Like the Spieth One, these shoes have been created to give the wearer the best comfort and stability possible. Both welcomed features in a golf shoe. Whilst not groundbreaking or jaw-droppingly revolutionary, they are good looking, lightweight shoes. The comfort from these comes from their use of Fine Tuned Foam for cushioning. 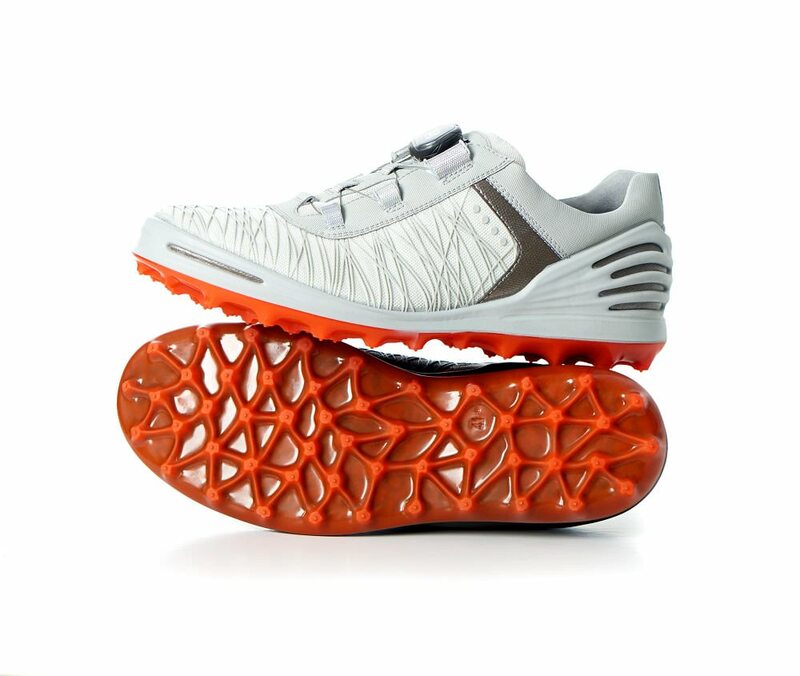 These shoes are possibly the perfect cross between traditional and modern golf shoe. If you like the classic look then these are shoes you will love! Like Nike, Adidas and Under Armour, Puma are looking to take their expertise in running shoes into their golf offerings. Some of the brands mentioned already offer the BOA system instead of traditional laces. This shoe from Puma is a similar idea. Puma’s DISC technology gives the wearer a more customizable fit to increase their comfort. It’s also really quick, much quicker than lacing up your shoes. If you’re the type that runs on to the first tee to avoid a two-shot penalty then these may save you shots! The shoes also feature Ignite Foam to give you a spring in your step and power-up those drives! 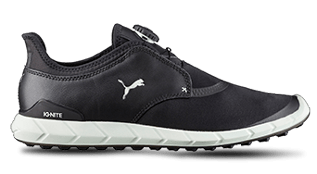 Puma have also released a spikeless version of this shoe. These sleek shoes are perfect for getting out of your car and straight to your warm up, they look comfy too! 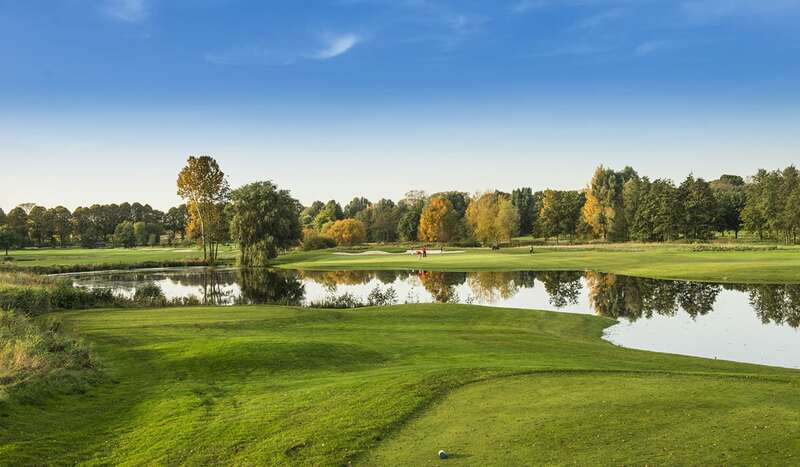 The Danish brand are known for crafting some of the highest-quality golf shoes on the market. They are also known for being incredibly comfortable too. Whilst many of their shoes through the years have been a bit on the boring side, design-wise, these shoes are futuristic and cutting-edge! Using the BOA system, mentioned earlier, and the cage design in the heel, you have a really comfortable pair of shoes here. Another cool feature on these shoes is the sole. The brand’s new ECCO SPYDR-GRIP® sole looks like nothing on the market. This will help you stick to the ground in all conditions and give you a solid-base during your swing. Ecco shoes tend to appeal to the older golfing crowd. Their main brand ambassador is Fred Couples. This shoe here could be the key to getting them into the younger market though. Ecco shoes are being worn by Smylie Kauffman on tour this year too. It seems that Ecco are on a mission to reach out to the younger crowd and that can only be a good thing. So, there you have it. If you’re in the market for new kicks for the 2017 season you now have a few good options to start with.